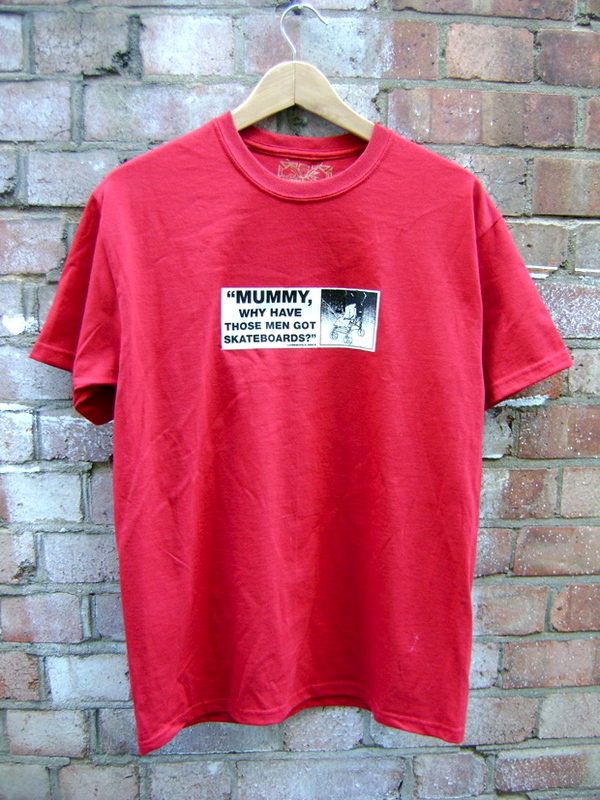 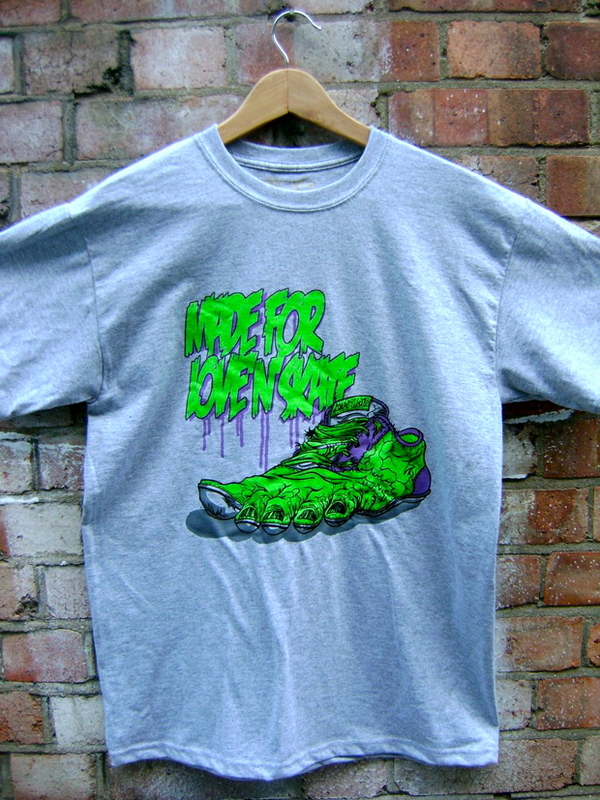 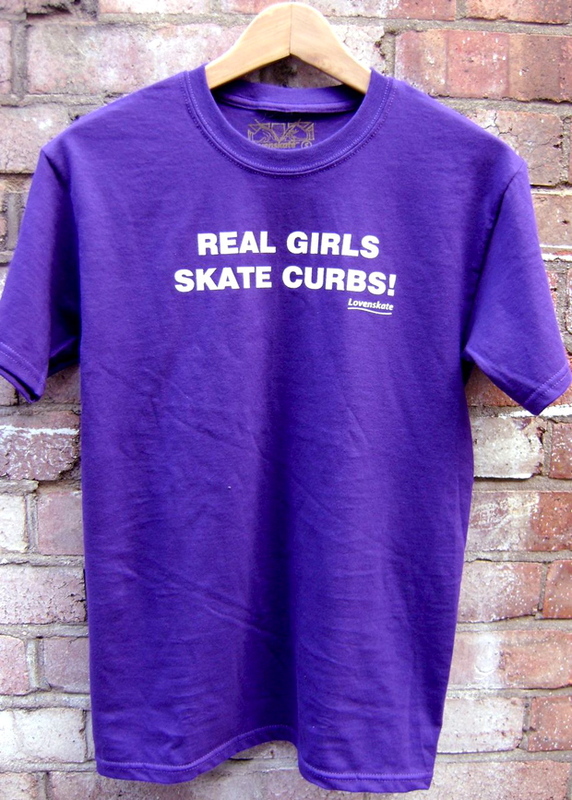 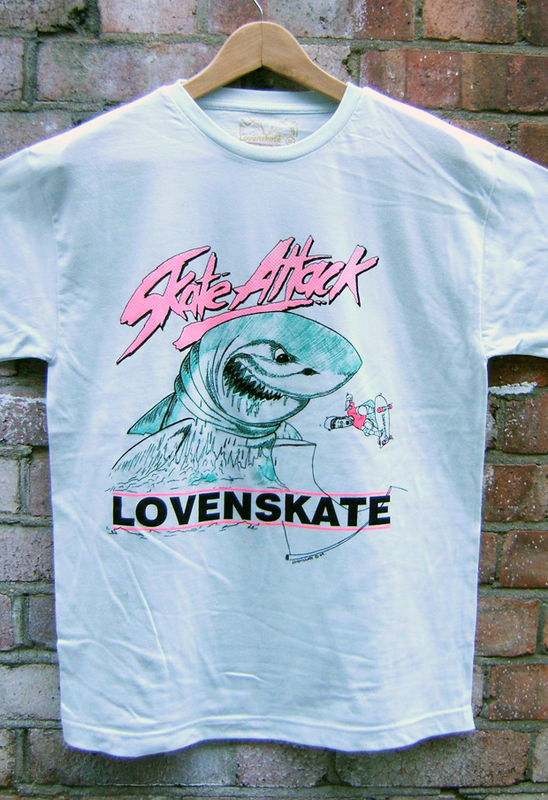 Here are the eagerly awaited new tees from UK skate brand Lovenskate. 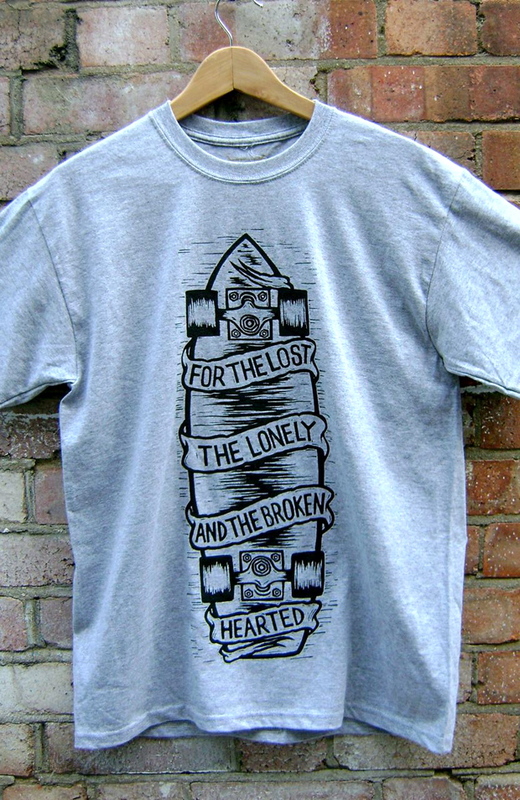 The collection includes 5 mens tees, 1 long-sleeved mens tees, 1 womens tee & a beanie. 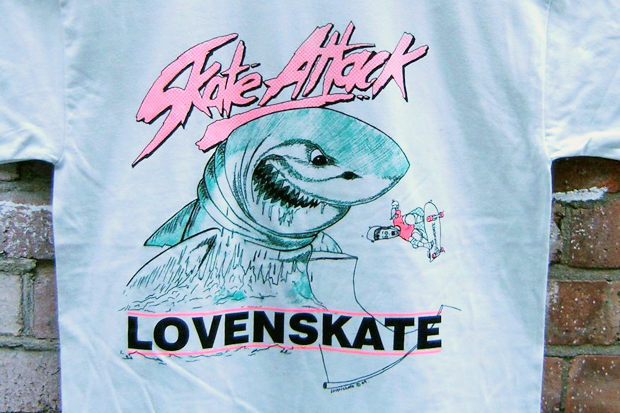 Lovenskate have come together with artists such as Roadkill, Graham Mitchell, French and Chris Bourke to create this collection and I think there’s only one word for it – rad. 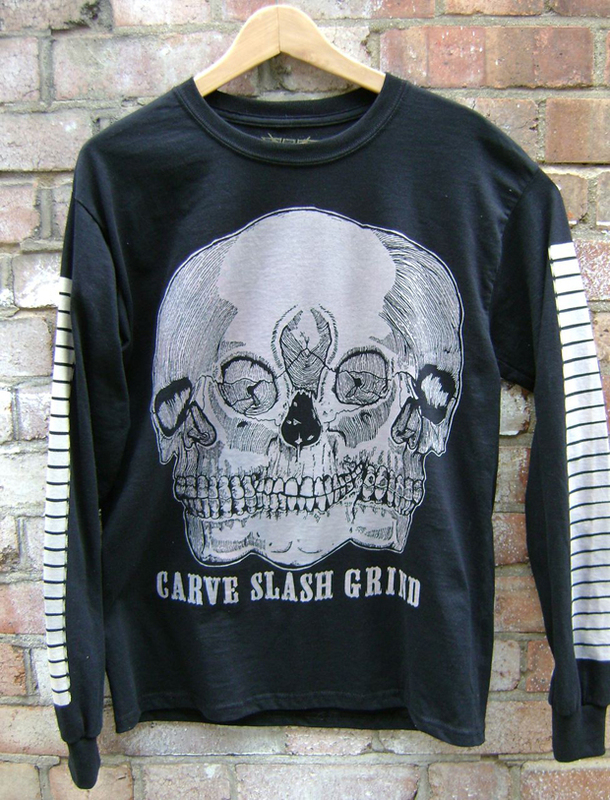 You’re gonna have to be ripping up the tarmac on a plank of wood with a backwards snap-back cap on to access the full radness of some of these garms. 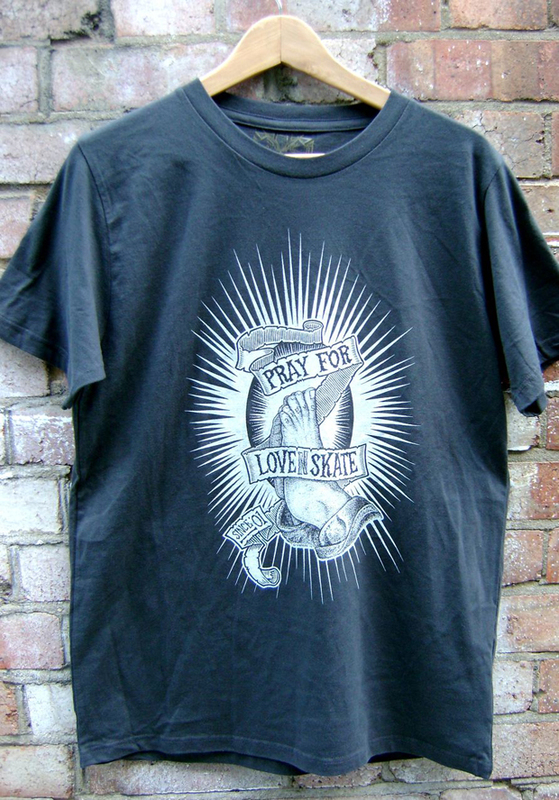 While you’re viewing the pics, take a minutes silence to send some love out to Stu at Lovenskate who recently broke his hand. 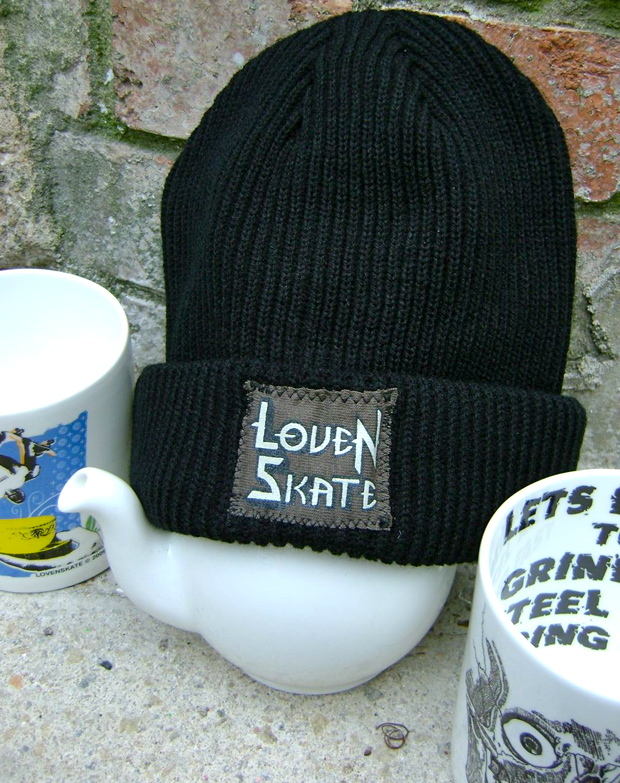 All the pieces are available now from the Lovenskate online store.